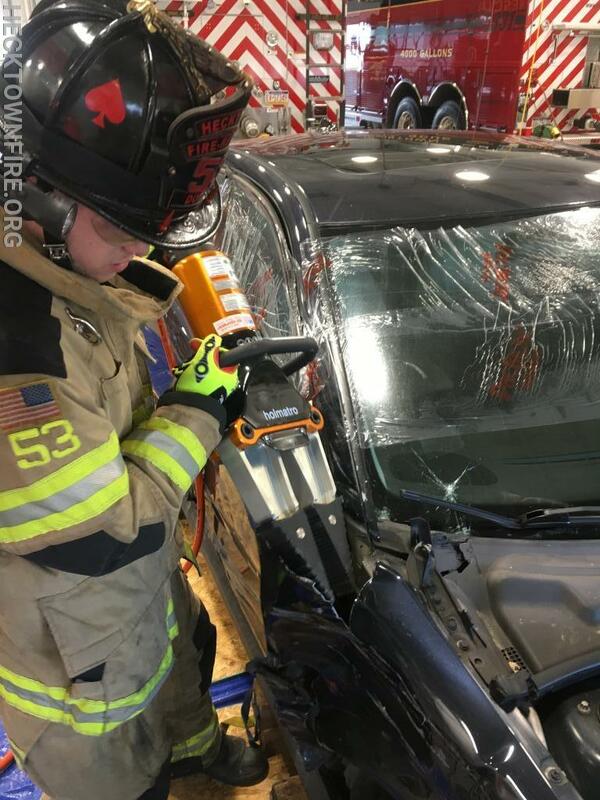 On Monday, January 28, the HFCo placed their new Holmatro rescue tools in service on Rescue 5341 and Engine Rescue 5312. 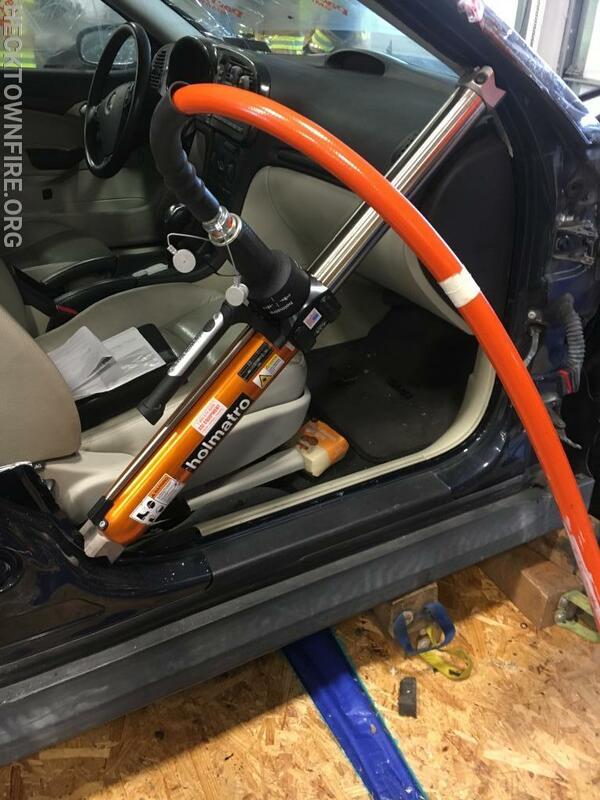 The tools on 5341 use the EVO 3 battery technology to operate all of the tools without a seperate power unit or hoses. 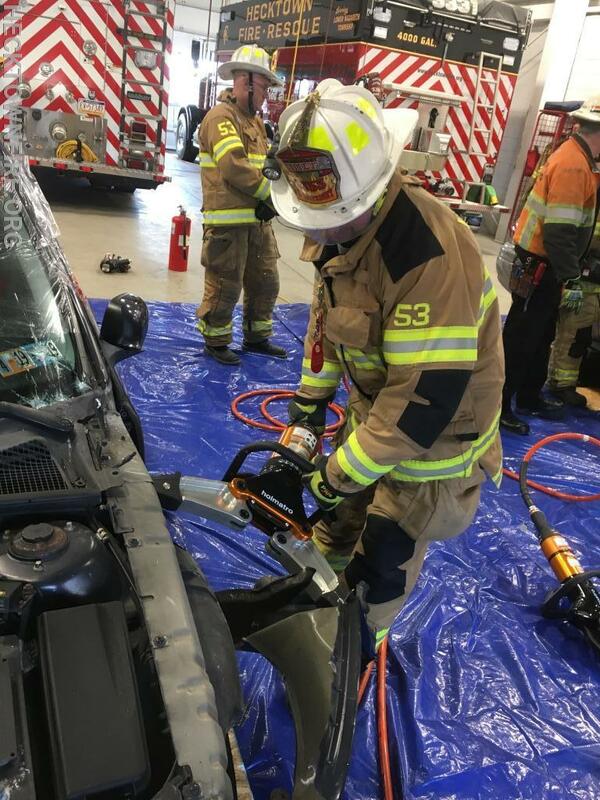 The tools on 5312 utilize the latest Core technology which provides for ease of use with only one hose connected to the power unit and lighter tools to lower fatigue on the rescuer. 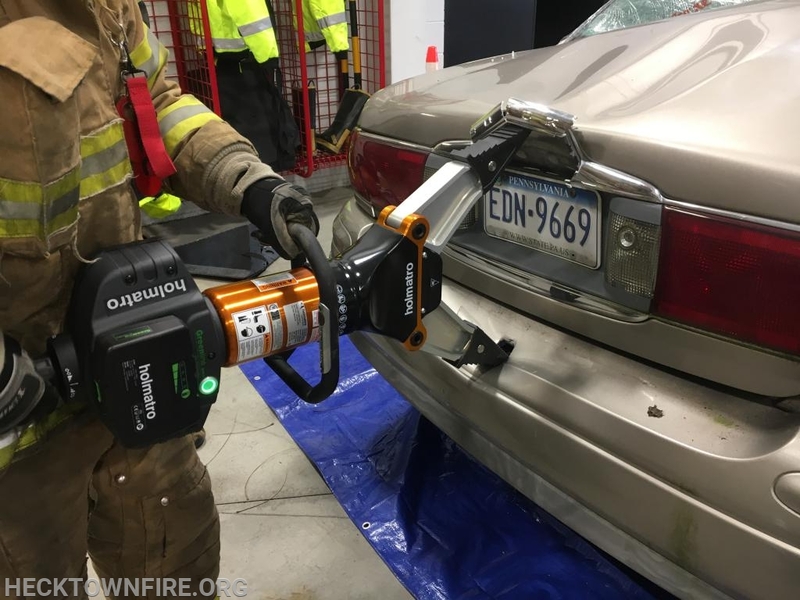 The systems were partially funded by the Fire Company and Emergency Medical Service Grant Program administered by the PA State Fire Commissioner's' Office with the remaining funds paid for the Hecktown Fire Company's Firemen's Relief Association. During the year-long process, a variety of tools from different manufacturers were evaluated. 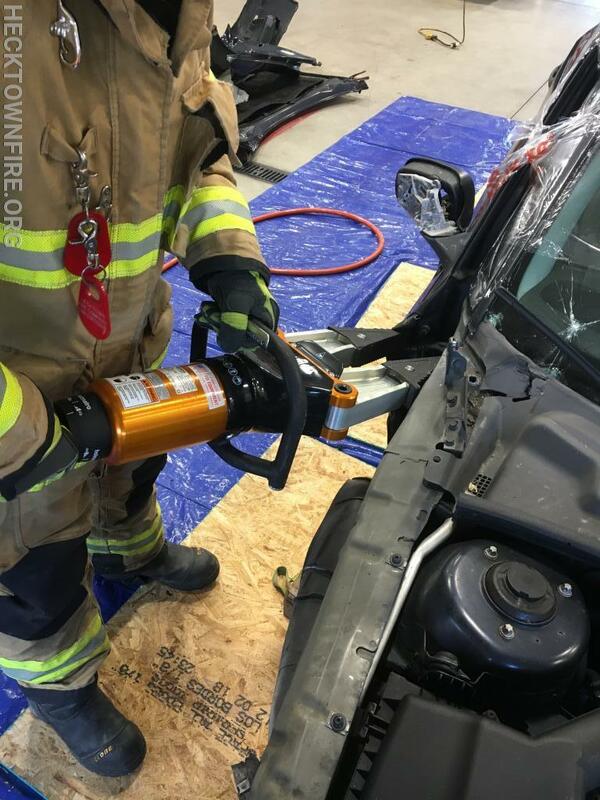 Holmatro quickly became the clear choice for our department. Thank you to Pat Grubb and Ray Henry of ESI Equipment for your assistance with our purchase and for the training that you provided to our members. 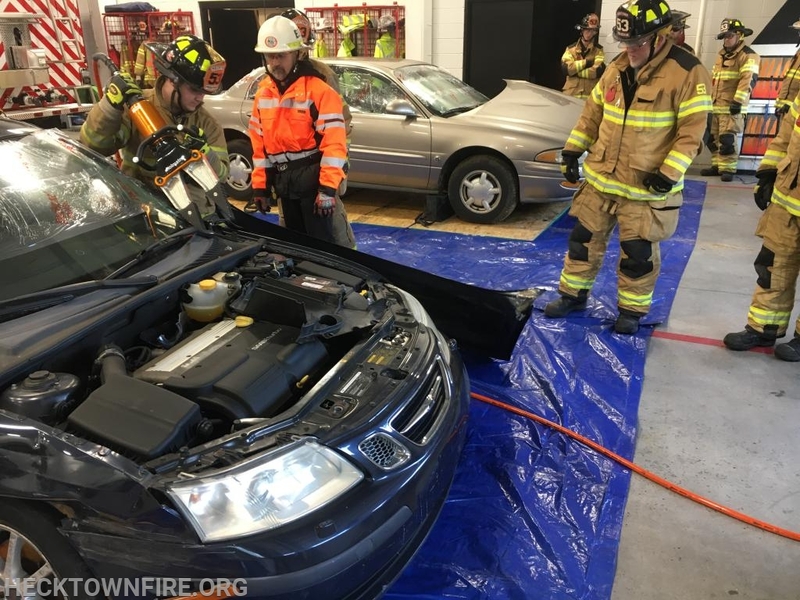 We would also like to thank Fast Lane Towing for providing several vehicles during our evaluation of the tools and to Knecht's Towing who provided vehicles throughout the evaluation and training process. We especially appreciate the delivery and placement of the vehicles for our final day of training.